At least once a month, I get the opportunity to get dressed up and go out with one of my friends to the theatre–and I don’t mean the movie theatre. I remember one of my earliest theatre experiences; it was for Tosca, I was in high school, and my friends and I wore dresses that we had worn to prom or other dances to the theatre. I continue that tradition today when I go, though I’m not nearly as formal nowadays. In addition to wearing a nice dress or slacks outfit, accessories are important to complete the look. Until recently, I hadn’t given much thought to the purse that I carry with me everywhere, be it a night out on the town or going to the store. It’s always the same practical purse, but it doesn’t exactly match my more formal attire. When I recently viewed the online fashion boutique Twisted Orchid, I found the perfect handbag to accompany nearly all of the dresses or other clothing combinations I would wear to the theatre. 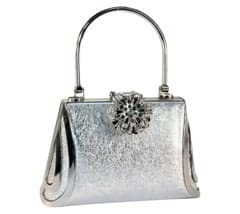 I instantly fell in love with this handbag, named Vogue, because it is shiny, silver, and simply elegant. It is also attractively affordable at only $28. It is just large enough to carry the essentials: credit cards, money, ID, a lip gloss (or three! ), keys, and a cell phone. The Vogue clutch can be carried one of two ways: using the handle, or with an attachable silver chain. I like both options, and since I can be a bit forgetful, the chain would be the better option for me. The handle isn’t removable, though, and I wish it could be taken off and stored at home while the shoulder chain is in use. In addition to handbags, Twisted Orchid also carries fashion jewelry, watches, and even scarves. If you are looking for affordable fashion, then Twisted Orchid is the right online shopping site for you. 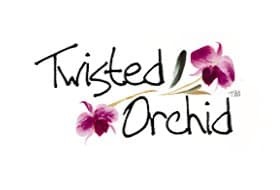 Connect with Twisted Orchid on Facebook.